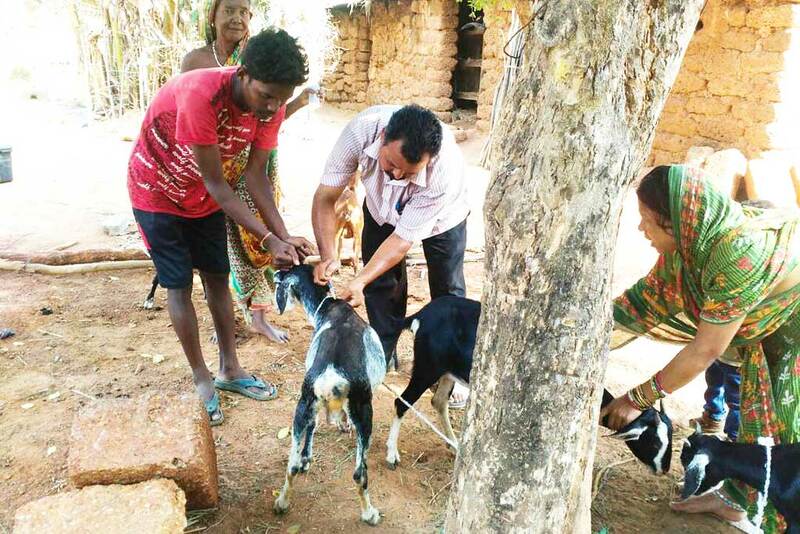 Ten goats in Guptapada, Odisha now have more protection from illness, as this week they received immunisations. The goats were provided to local SHG members for income generation. Goats are a valuable source—especially for the milk which is highly healthy for young children. 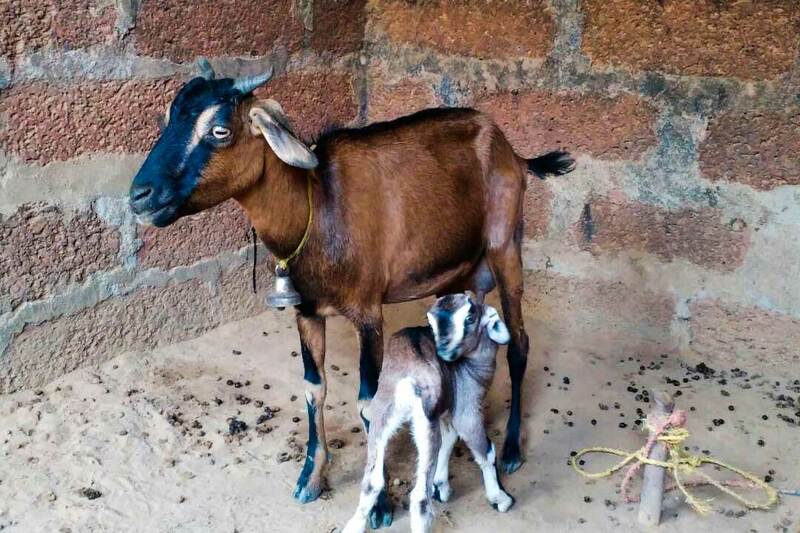 In India, goats are commonly immunised for diseases such as anthrax, hemorrhagic septicaemia, enterotoxaemia, black quarter, PPR/goat plaque, foot & mouth disease, goat pox and contagious caprine pleuropneumonia (CCP). The raising of goats is an ancient tradition. They are able to heartily survive, even in rough conditions of climate and geography. They can manage by eating rougher vegetation that would not suit other animals. In related news, one of the goats had a kid, which will be handed over to a member of the same SHG who has not yet received a goat.